After a year of contemplation and hand-wringing, Democrats have decided to go back to basics and return to their roots for the 2018 midterm cycle. Their message going into this election year is about the fundamentals of their party and the country. While Republicans are eager to run on issues like tax reform, jobs and immigration, Democrats are doubling down a push for increased federal spending to rebuild roads and bridges and to expand broadband as well as their defense of long-standing social programs like Social Security and Medicare. “In the 20th Century America’s ingenuity and commitment to have the best infrastructure imaginable, helped to launch our economy, created new jobs, and made our infrastructure the envy of the world. Today, that is no longer the case,” said Rep. David Cicilline, D-Rhode Island. Cicilline cited a study from the World Economic Forum that ranked U.S. infrastructure ninth in the world. “The American people don’t need these reports to tell them what they already know about the condition of our roads, bridges, rail systems, schools and airports. They experience it every day,” Cicilline went on. Their proposal, which noticeably and intentionally feels like a new version of the New Deal, President Franklin Roosevelt’s government spending and public project program in the late 1930s that helped bring the country out of economic depression, includes investments in rural broadband development, green energy programs and more basic highway and transportation modernization. 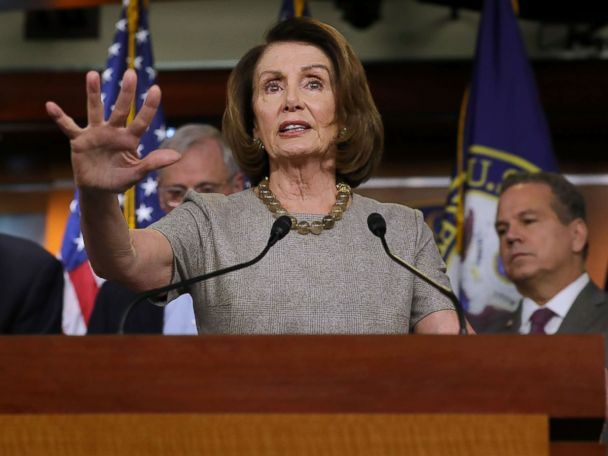 It may have been a new president who animated their base, but Democrats want to run on old ideals, not a push towards impeachment or a purely anti-Donald Trump campaign. Republicans, too, are campaigning for the middle class but using an argument consisting of the tax cut they passed, touting job creation, and emphasizing the greatness of America. Middle class voters have a history of deciding elections. The so-called “Blue-collar Democrats” helped put Ronald Reagan in the White House and helped put Trump over the top in the 2016 election. Trump won 18 of the 30 middle-class communities won by Democrats four years earlier, according to a Pew Research Center analysis. It remains to be seen which argument will persuade voters in November. 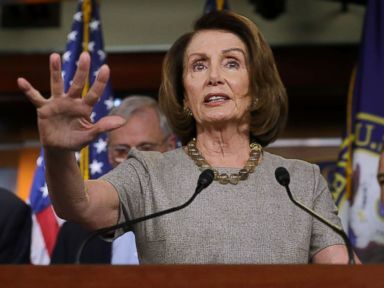 Independent voters in Democratic districts favored Democrats but in Republican districts they split evenly, 45-46 percent, between parties, according to the latest ABC News/Washington Post poll. And, on Thursday, the non-partisan Cook Report shifted 21 races to the Democrats‘ favor. Looking across the country, the Democratic Congressional Campaign Committee announced on Thursday it’s ratcheting up its efforts and expanding the number of districts it plans to compete in. In total, the group says its battleground map now includes more than 100 seats, from California to Arkansas, meaning it will specifically target more Republican-held districts than it has in a decade. The DCCC significantly out-raised its direct competitor, the NRCC, last year. A fact Republicans acknowledge, though they say the NRCC has more cash on hand. Big picture, Democrats still expect to get outspent, especially as outside Republican-leaning advocacy groups and PACs spend additional money. “If the election were now, the Republican majority is in trouble. But they have 10 months with an unlimited bank account to try to rescue their control. 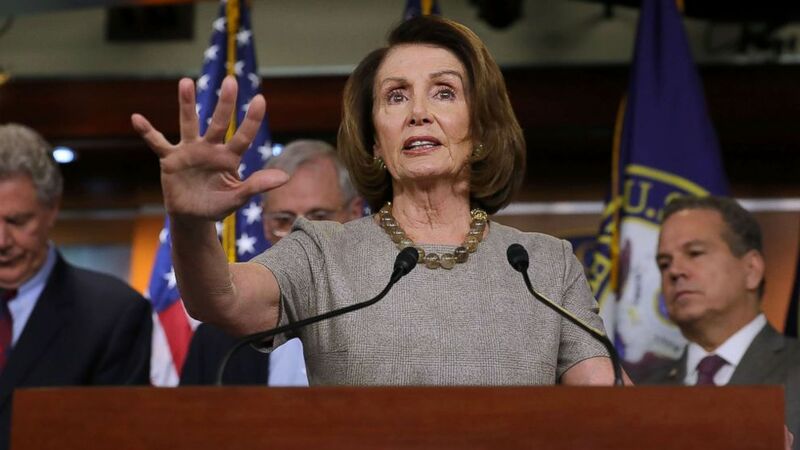 We’ll see if they can do it,” said Jesse Ferguson, a longtime Democratic strategist who has worked on House campaigns. Still, over 50 Democratic challengers out-fundraised their Republican incumbent challengers last year. Democrats only need to win 24 seats to flip the House. The DCCC argues some of its success is due to the ground game being played out in the states. According to the group, they currently have organizers deployed in 45-targeted districts and 2,421 precinct captains already recruited. “By Election Day 2018, we aim to deploy 33 percent more field staff than were deployed by Election Day 2016,” a press release from the organization said on Wednesday. A GOP campaign aide told ABC News the NRCC does not need to ramp up its field operation in part because other Republican organizations, like the Republican National Committee, are doing it, and also because other outside PACs can legally spend more doing that kind of legwork. The aide argued it was better use of resources not to do this in house. Responding to the DCCC expanded map, Matt Gorman, a spokesperson for the NRCC, said his organization felt optimistic about recent polling trends. “We have been an improvement in our poll numbers both nationally and in district specific numbers,” Gorman said.